This shortform brochure introduces the TITAN Portfolio and outlines the key application areas. 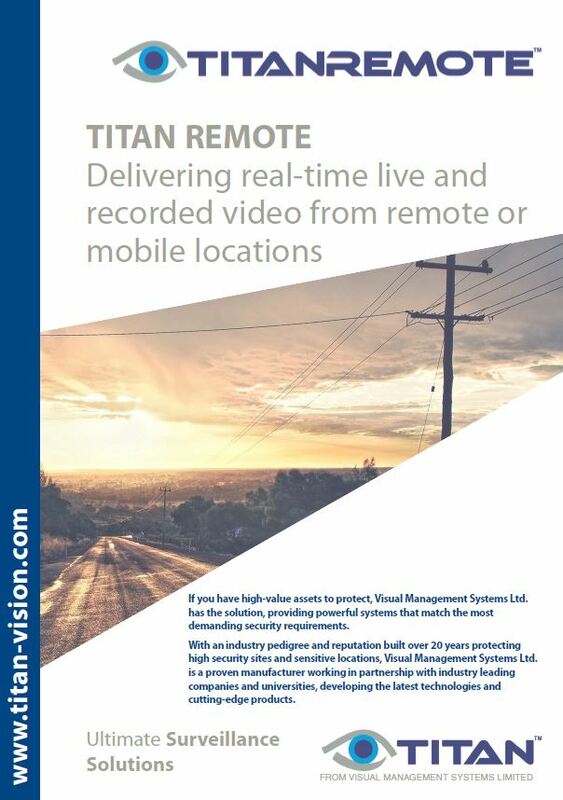 Titan Vision is an open platform, licence free integrated security management system. A powerful IP network suite. Built on the experience and expertise gained over 20 years of development. Titan Vision is designed to address “Return on Investment”. 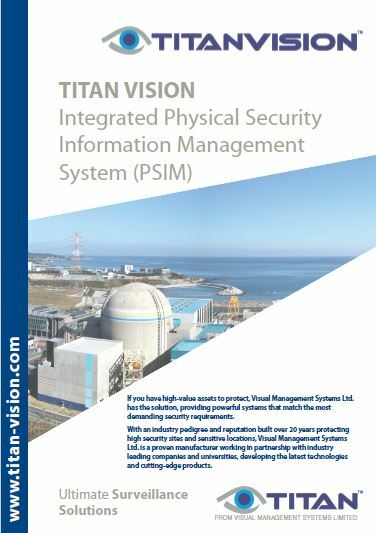 This shortform brochure introduces TITAN VISION and outlines the key benefits and application areas. Titan Secure* offers a fully encrypted system that secures all digital communication between Titan Vision devices and components, maintaining the integrity of your security surveillance systems from the control device to the recorded data and all system communication pathways. 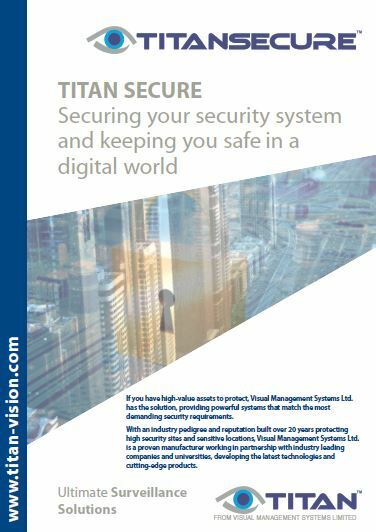 This shortform brochure introduces TITAN SECURE and outlines the key benefits and application areas. 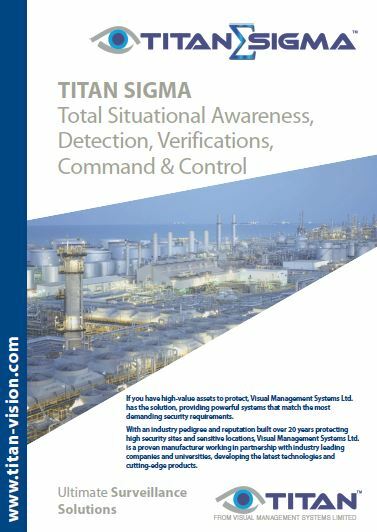 Titan Sigma - The intelligent security management system providing an unique Detection, Verification and Command and Control solution. This shortform brochure introduces TITAN SIGMA and outlines the key benefits and application areas. 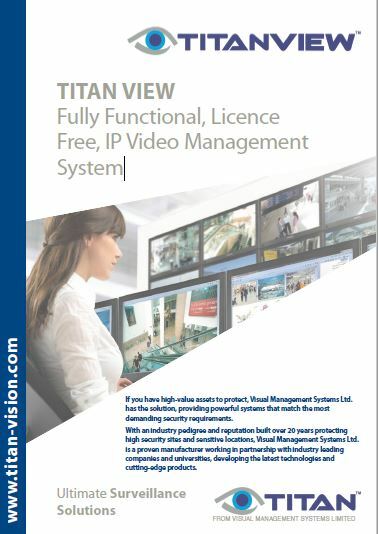 Titan View is an open platform, licence free IP Video management system, built on experience and expertise gained over 20 years, as part of the development of our flagship product Titan Vision. Titan View is the perfect partner for small, medium and multi-site applications. 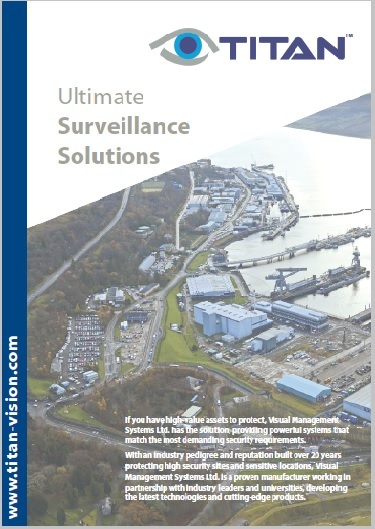 This shortform brochure introduces TITAN VIEW and outlines the key benefits and application areas. A flexible and powerful solution for all video walls; from small to large, single to multi-display projections. 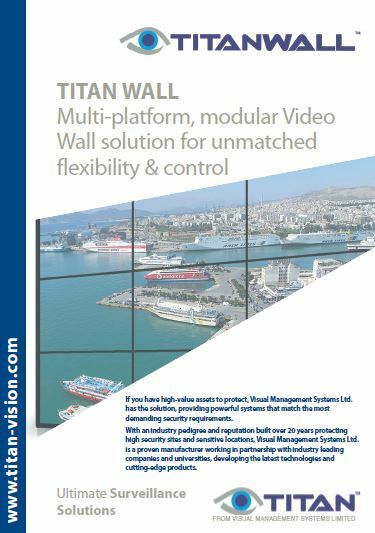 TITAN WALL provides the operator full control over all connected sources with effective collaboration and distribution. This shortform brochure introduces TITAN WALL and outlines the key benefits and application areas. and your command and control centre or other operational staff. over unmanaged or managed networks. Dynamic switching between low and high bandwidth connections. This shortform brochure introduces TITAN REMOTE and outlines the key benefits and application areas.